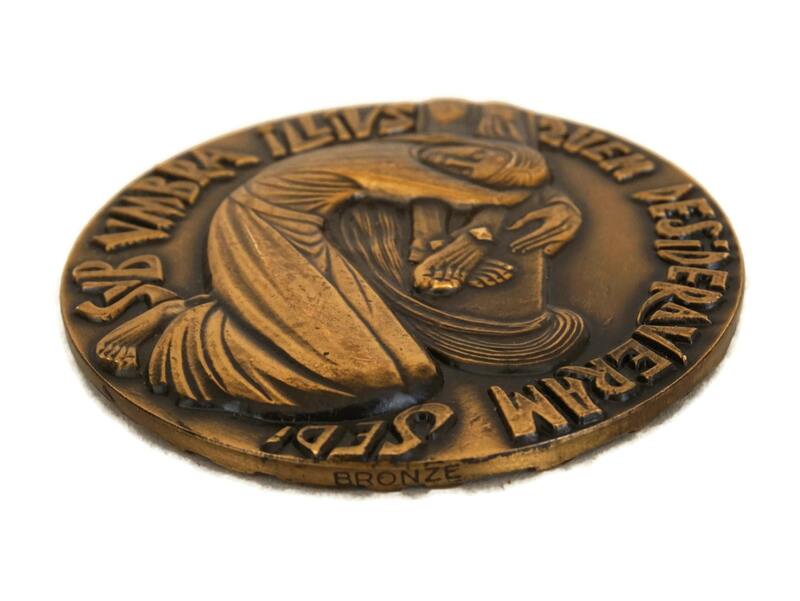 A lovely vintage French Mary Magdalene bronze medal dating from the 1960s. 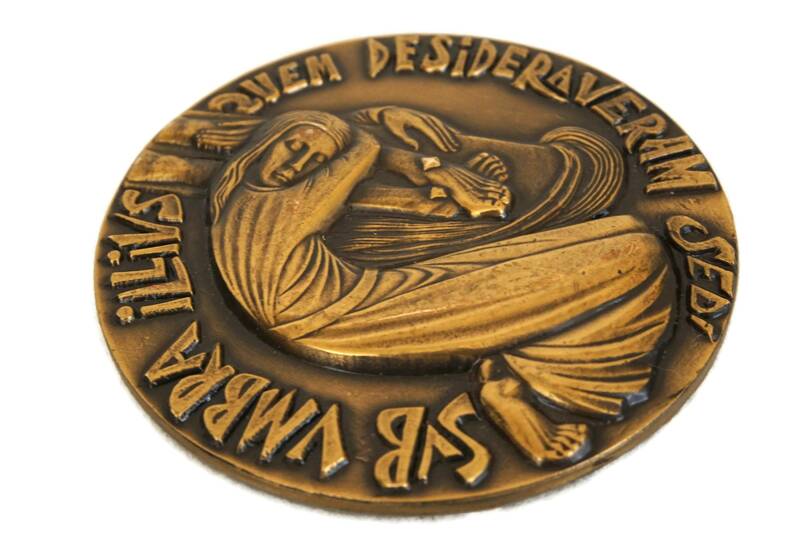 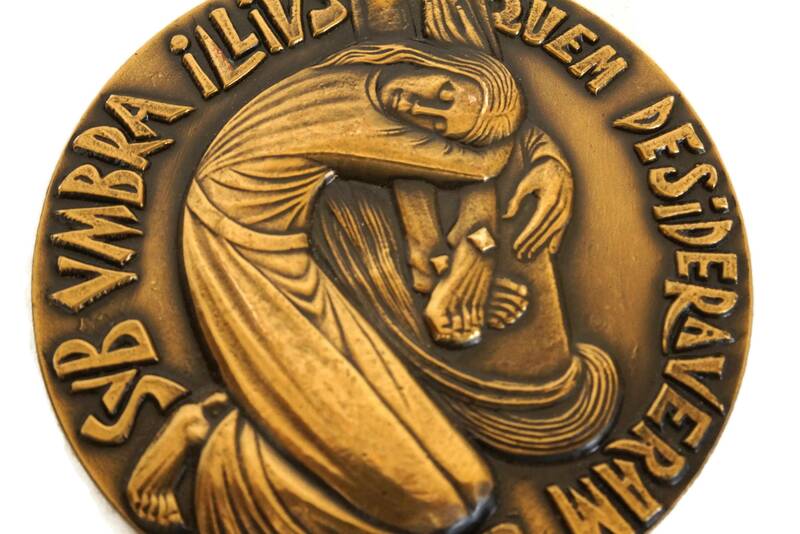 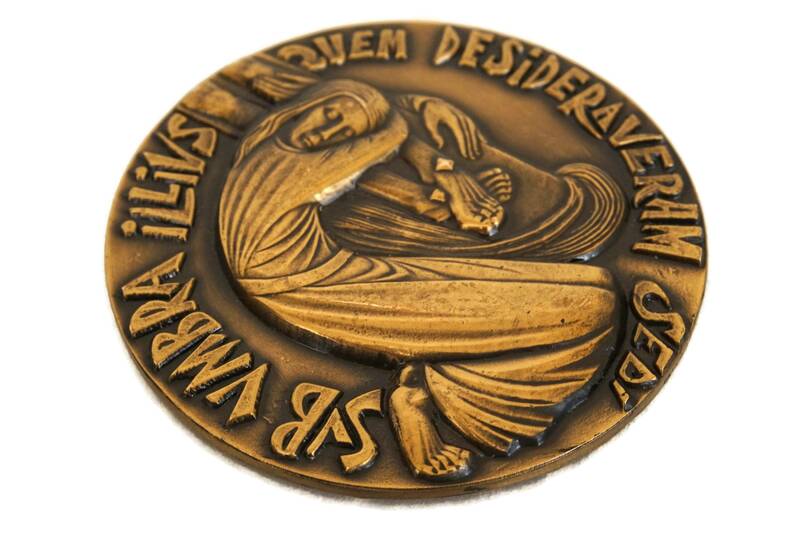 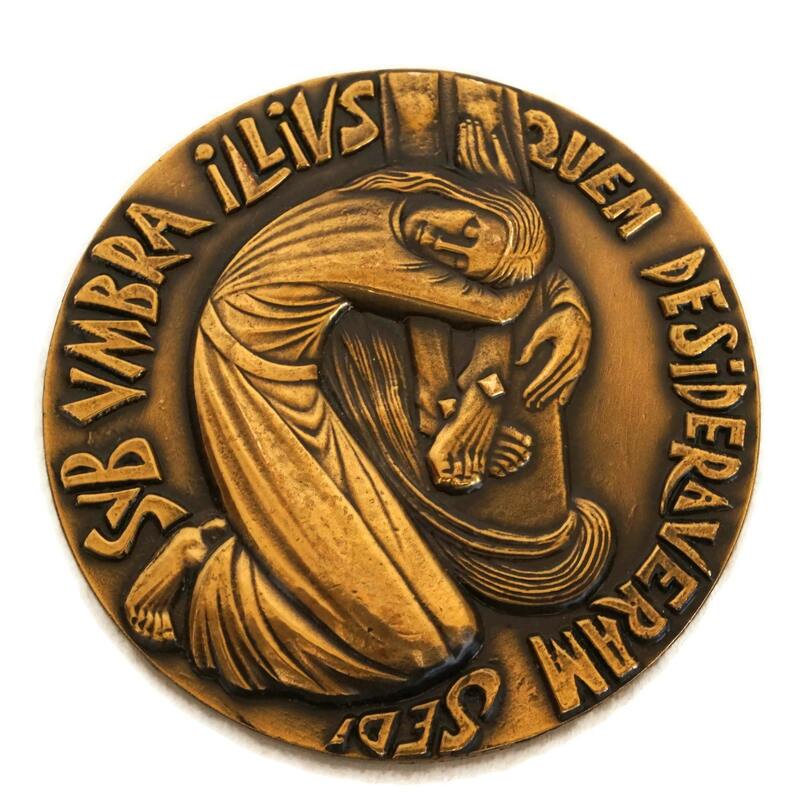 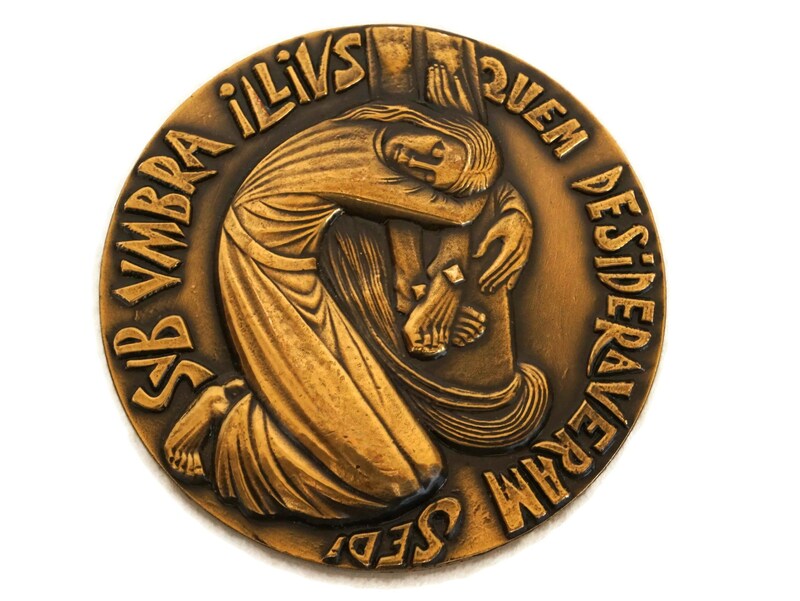 The medal has been made from solid bronze and features a striking modernist raised relief design representing Saint Mary Magdalene at the bottom of the Cross with the Latin text "Sub umbra illius quem desideraveram sedi" ("I sat down under his shadow with great delight"). 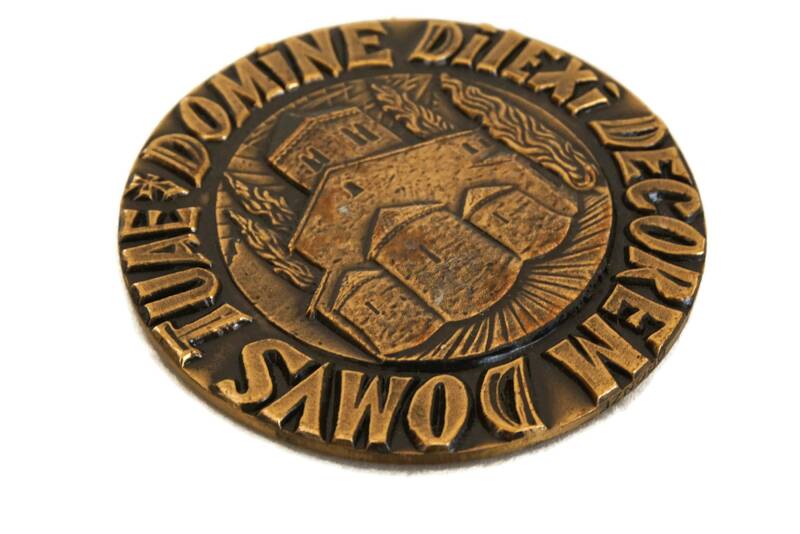 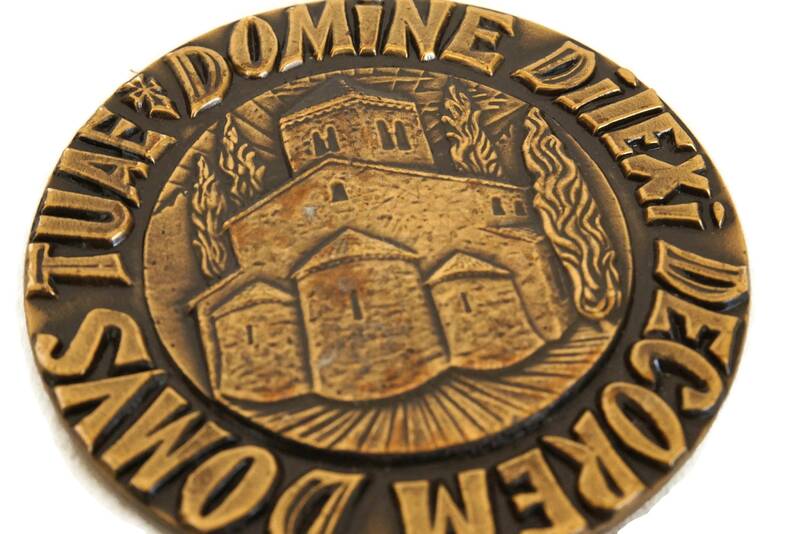 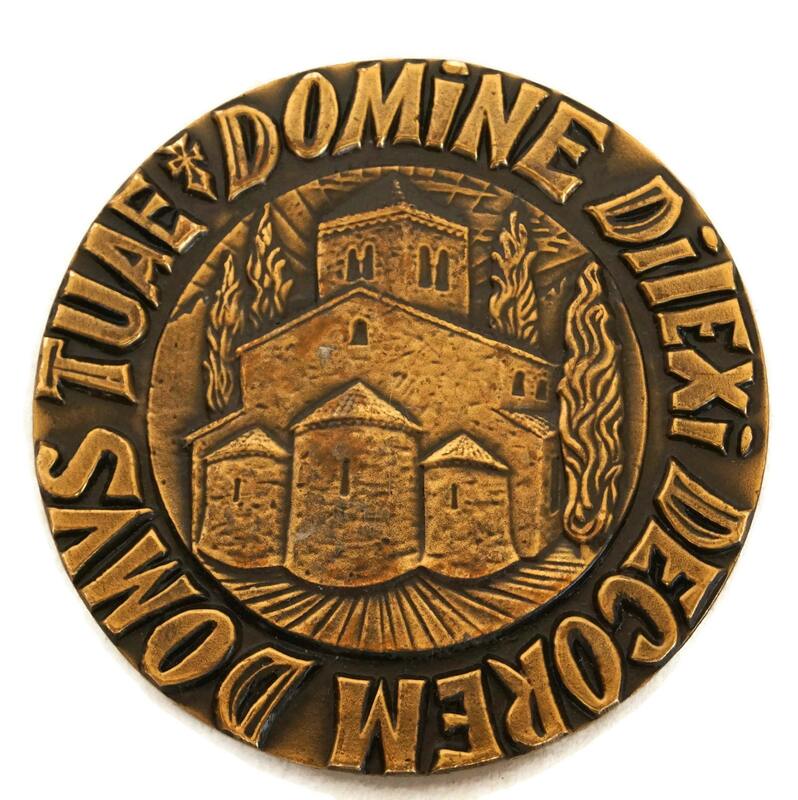 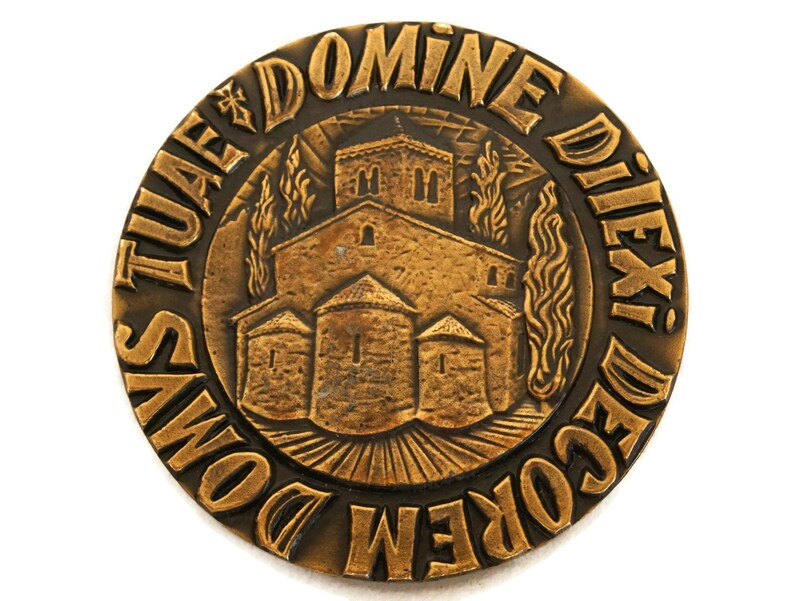 The reverse features a church with a Latin Text "Domine dilexi decorem domus tuae"("I have loved, O Lord, the beauty of thy house").